People should stay away from romaine lettuce until U.S. and Canadian health officials get to the bottom of an outbreak of E. coli infections, Consumer Reports says. The consumer advocacy group called on the Food and Drug Administration and Centers for Disease Control and Prevention to do more to warn people about the outbreak, which at last count had made 58 people sick in the U.S. and Canada. One person has died. The CDC last reported on the outbreak on December 28. It said 17 people were sick in 13 states, dating back to November. The Public Health Agency of Canada has reported on 41 illnesses. 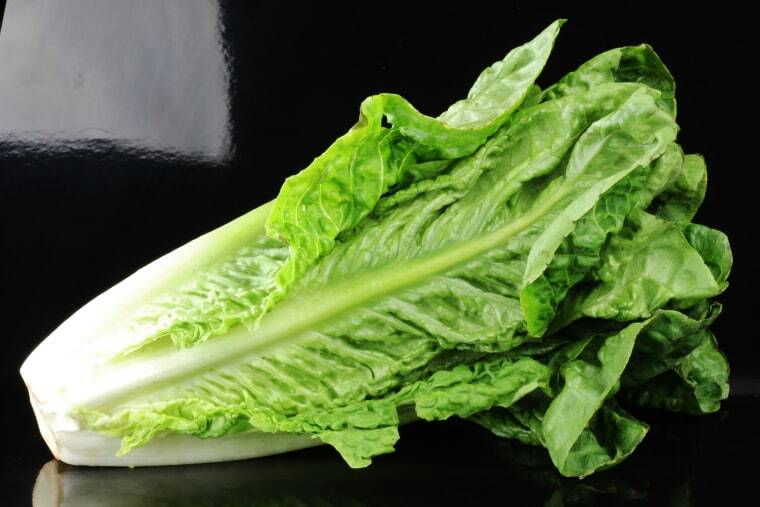 “The Public Health Agency of Canada has identified romaine lettuce as the source of the outbreak in Canada,” the CDC said in its Dec. 28 statement. “In the United States, state and local public health officials are interviewing sick people to determine what they ate in the week before their illness started. CDC is still collecting information to determine whether there is a food item in common among sick people, including leafy greens and romaine,” it added. Thorough cooking usually kills foodborne bacteria such as E. coli or salmonella, but lettuce is not usually cooked. “Even though we can’t say with 100 percent certainty that romaine lettuce is the cause of the E. coli outbreak in the U.S., a greater degree of caution is appropriate given that romaine lettuce is almost always consumed raw,” said James Roger, food safety director at Consumer Reports. Consumers Union’s Jean Halloran said people should get stronger warnings. “The FDA should follow the lead of the Canadian government and immediately warn the public about this risk,” she said. The infections have occurred in California, Connecticut, Illinois, Indiana, Michigan, Nebraska, New Hampshire, New York, Ohio, Pennsylvania, Virginia, Vermont and Washington. But the FDA said there just isn't enough information yet. "Interviews of ill people haven’t identified a likely source for the US illnesses. At this time, we are still investigating, and when we have information that consumers can use – such as any foods to avoid – we will share it immediately," the FDA said in a statement issued late Thursday. “Whole genome sequencing is being performed on samples of bacteria making people sick in the United States to give us information about whether these illnesses are related to the illnesses in Canada. Preliminary results show that the type of E. coli making people sick in both countries is closely related genetically, meaning the ill people are more likely to share a common source of infection,” the CDC said. Consumer Reports said people should err on the side of caution and throw out romaine lettuce. “Neither the U.S. nor Canadian health officials have provided information on where the romaine lettuce potentially involved in the illnesses was grown or processed, so for now, Consumer Reports says consumers should assume that any romaine lettuce, even when sold in bags and packages, could possibly be contaminated,” it advised. The United Fresh Produce Association said it's not clear that throwing out romaine lettuce would do any good. "Even if this outbreak is actually confirmed to be caused by romaine lettuce, it’s important to recognize this is a highly perishable product with a limited usable shelf life and it’s highly unlikely a specific affected lot would still be available for sale or in a home refrigerator with the last U.S. illness being reported on December 8 and the last Canadian illness reported December 12," it said in a joint statement with the Produce Marketing Association and other groups. E. coli bacteria are just about everywhere and they are normally harmless residents of the digestive tract. But there are a few forms that can cause diseases. The CDC estimates that about one in six Americans are made sick by foodborne illnesses every year — that's about 48 million people. About 3,000 die. The toxin produced by E. coli 0157 can cause severe stomach cramps, bloody diarrhea and vomiting. The most dangerous effect is hemolytic uremic syndrome (HUS), a type of kidney failure. “Very young children and the elderly are more likely to develop severe illness and HUS than others, but even healthy older children and young adults can become seriously ill,” the CDC said.